Oscar loves drums. 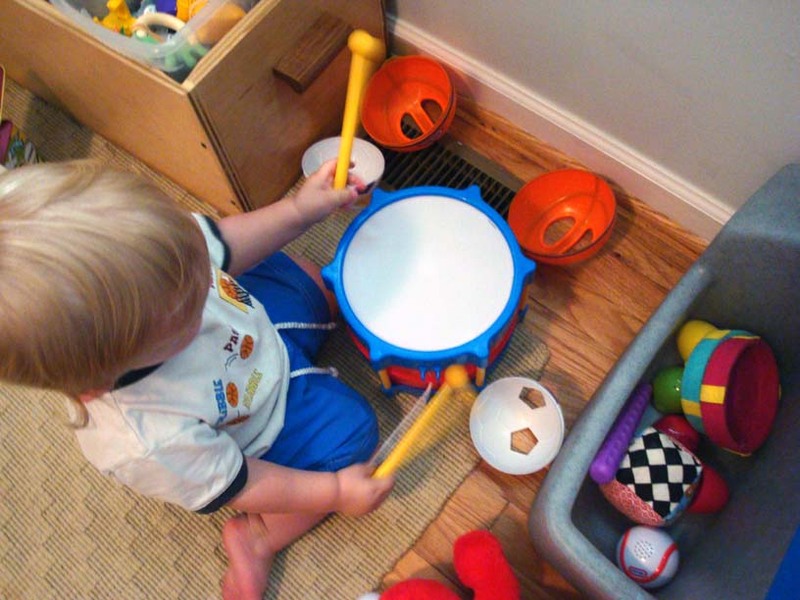 And by love I mean, can sit for literally hours on end playing with, listening to and saying the word DRUM. When we are in the band at church and have to be there all day, he loves it. 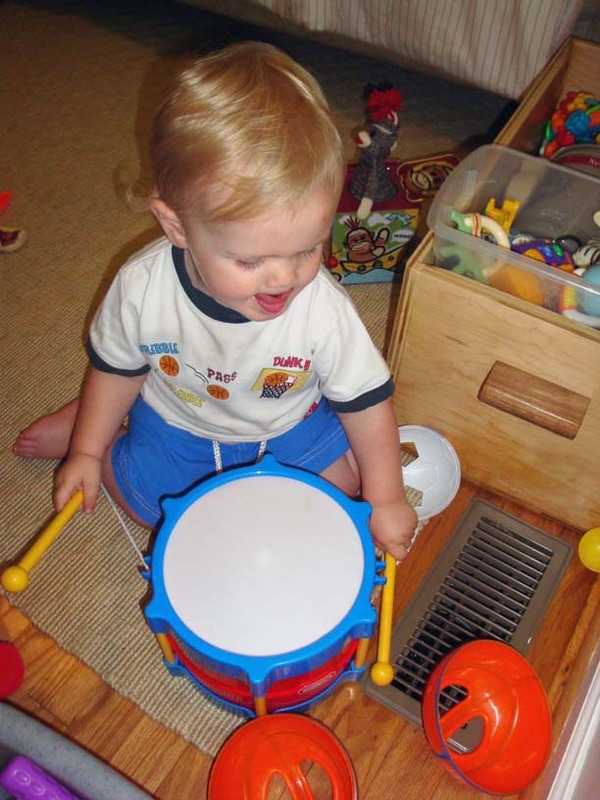 We are to the point now that any time we are downtown or around brick buildings he says DRUM! DRUM! thinking we are about to party. So we got him a little tikes drum the other day and he loves it. Only now that isn’t enough. He needs a kit. 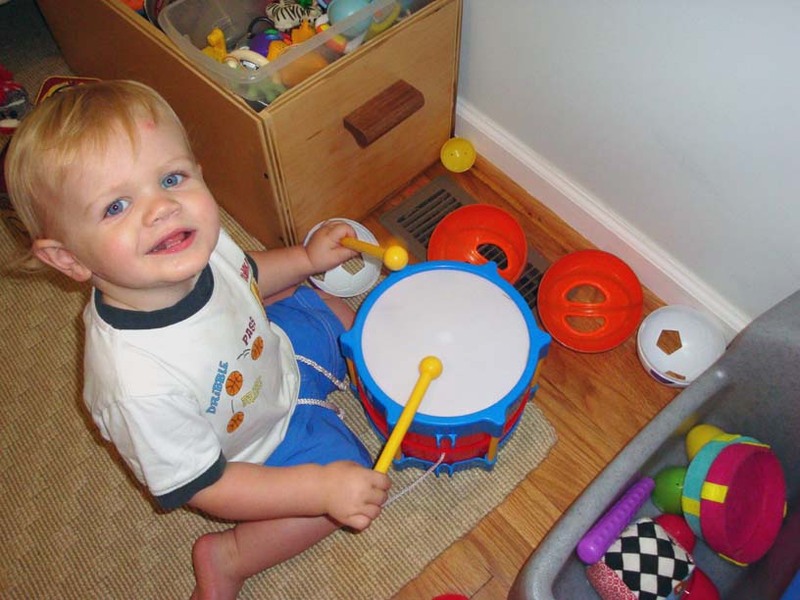 So he did what any other 16 month old drum enthusiast would do in such a predicament. He made one. Really. He did this all by himself. Look out (insert awesome drummer that I should know here)! Oscar is coming for you. He is such a cutie! Hey thanks for stopping by Modern Kiddo today!! YAY! SO glad you liked it! !